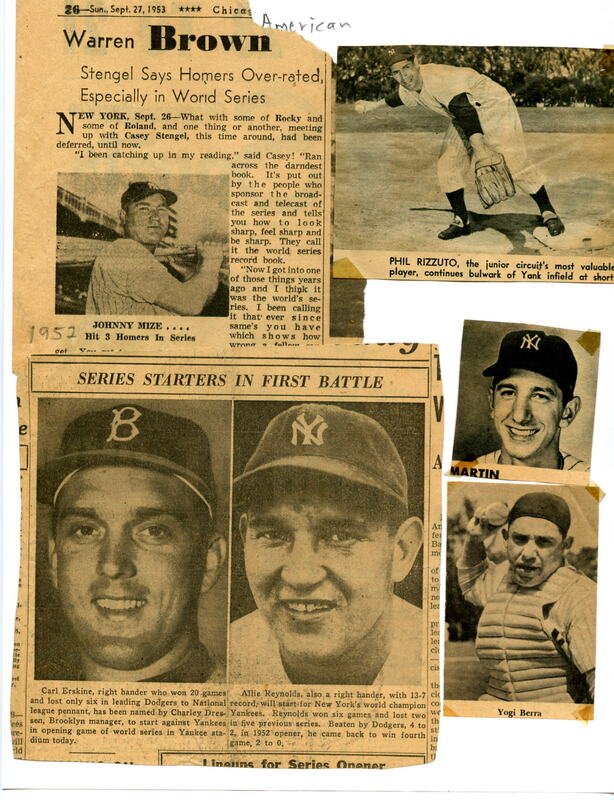 The New York Yankees went 99-52 in 1953 and coasted to their fifth straight pennant. The Cleveland Indians ended 2nd for the third year in-a-row, 8 1/2 games behind the Yankees. 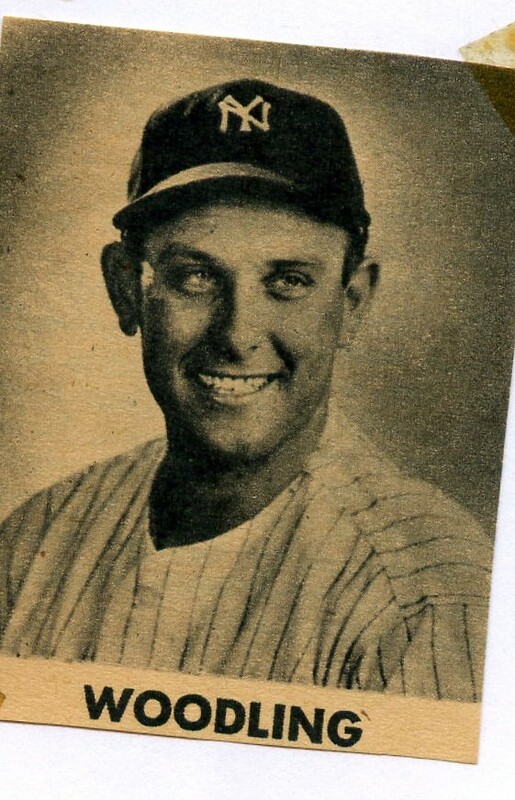 The Yankees faced the Brooklyn Dodgers who won a club record 105 games. 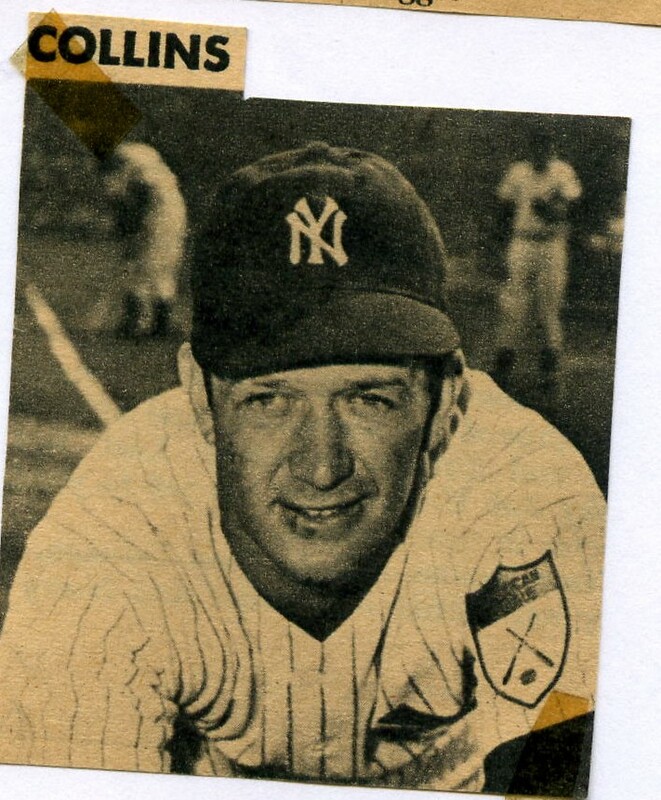 The Bronx Bombers showed their power winning the opener and in Game 2, Billy Martin tied the game in the 7th inning with a homer, and won as Mickey Mantle hit a game winning 2-run homer in the 8th. 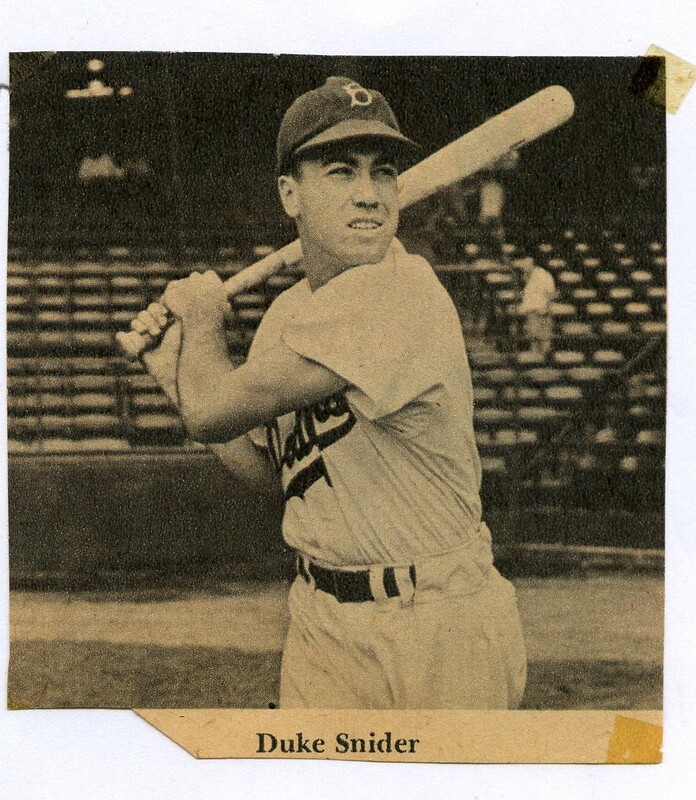 The Dodgers won game three on Roy Campanella's HR and evened the series as Duke Snider drove in 4 runs with two doubles and a homer in Game 4.